The Prince William Chamber of Commerce will host its seventh annual Salute to the Armed Forces luncheon from 11 a.m. to 2 p.m. Jan. 23 at the Clubs at Quantico and Crossroads Event Center at the Quantico Marine Corps base. The event is presented by the Chamber’s Veterans Council and features annual updates and award presentations by the Quantico base commander and the garrison commander at Fort Belvoir. 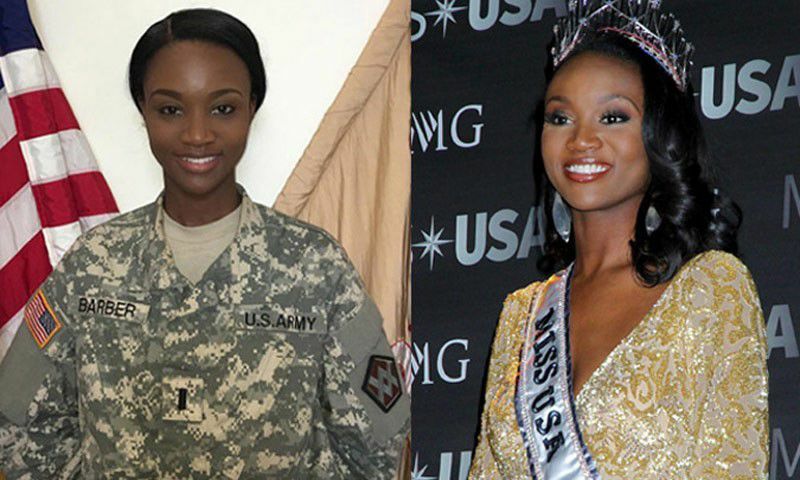 Former Miss USA and active U.S. Army Reservist Deshauna Barber is the keynote speaker. The event will feature accounts of local personal and professional connections to our nation’s military along with recognition for outstanding young soldiers and Marines. The Chamber is also expecting several World War II veterans as special guests. Barber will share her thoughts on the importance of hiring military veterans and increasing efforts to help servicemen and women to effectively transition to civilian life, particularly post-deployment. This year’s Salute to the Armed Forces will conclude with a Fallen Comrade Ceremony, including the playing of “TAPS” in honor of those who made the ultimate sacrifice. The Clubs at Quantico and Crossroads Event Center is at 3017 Russell Road, Quantico. Tickets are available online at www.pwchamber.org and include lunch. Article from Prince William Times. Location announcement for the 2019 MISS USA and 2019 MISS TEEN USA Show. A weekend of football and sisterhood. Join us backstage during the MISS UNIVERSE Competition for exclusive interviews with talent. Miss the Preliminary Competition? See all 94 contestants compete in swimsuit and evening gown! The competitions airs LIVE Sunday, Dec 16 at 7pm ET only on FOX. Musical guest and hosts announced for the upcoming Miss Universe competition.